I figured it must be my trainers or my orthotics – I had only worn my trainers a few times so I took them back to Athletes Foot at Forest Lake and the manager was awesome and I ended up with a new pair of Mizuno trainers that I have had before. So this morning, off I trotted again determined to do at least 10k and I started to have the same problem again and my legs were still hurting from yesterdays strain or whatever I had done. I got really annoyed and took my orthotics out and the situation improved so I am in a quandry now, was it the trainers, orthotics, mixture of both or what?? I’m going to have a rest tomorrow and try and run on Tuesday as normal and hope the problem has fixed itself, we shall see.. I have found in my time running that if I feel any kind of pain to stop and not run through it. Often there is simply a muscle strain or twinge but more than often in my case it has been something more severe. I made the mistake of running through a rolled ankle once thinking it would be ok, and ended up off my feet and not running for quite some time. It can be really frustrating to not be able to run but in the long run it works out better than suffering the long term consequences. 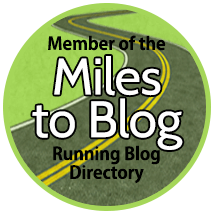 Runners World have a great list of injury prevention recommendations that you might be interested in and the UK Runners World has an awesome runners injury A-Z.